As part of the Nasty Nassella Serrated Tussock project, which is working on a new approach to serrated tussock, Watershed Landcare is inviting local landholders to a workshop to help them get the upper hand on this weed of national significance. Watershed Landcare has partnered with Central Tablelands Local Land Services (CT LLS) and Mid-Western Regional Council (MWRC) to deliver the Nasty Nasella Workshop on Monday, 5 March. The workshop will feature presentations from Clare Edwards, CTLLS Senior Land Services Officer (Pastures), who will discuss proactive whole-farm strategies to manage serrated tussock; Aaron Simmons, NSW Department of Primary Industries, will speak about the practicalities of serrated tussock management strategies from his perspective as a landholder and researcher; Matt Anderton, MWRC, will discuss landholder responsibilities and the new biosecurity legislation. The Nasty Nasella workshop will be held from 9am-12:30pm, 5 March at The Stables, Market Street, Mudgee. This event is free to attend with lunch provided, but please RSVP to assist with catering by Friday, 2 March. The Nasty Nassella Serrated Tussock project is also looking for farmers interested in developing a serrated tussock management plan for their farm. “The project is capturing and building on the knowledge of experienced landholders as well as supporting those who have had limited experience with serrated tussock,” said Watershed Landcare Coordinator, Claudia Wythes. “Pasture species, alternative control strategies and the scale of the problem all need to be considered,” she continued. 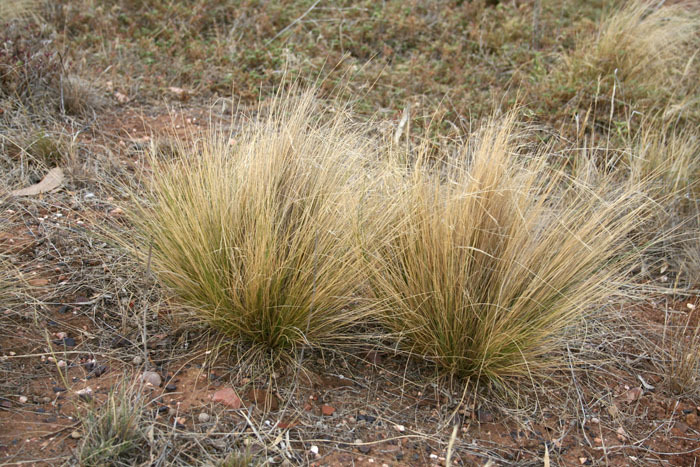 “Whether you are actively managing serrated tussock on your property, you have just spotted a few isolated plants, or you would like some help with identification, we want to hear from you,” said Ms Wythes. To RSVP to the workshop or for more information about the Nasty Nassella project, contact Watershed Landcare Coordinator Claudia Wythes on 0412 011 064 or email: claudia.wythes@watershedlandcare.com.au. This project is supported by Watershed Landcare through funding from the Central Tablelands LLS from NSW Catchment Action and the Australian Government’s National Landcare Programme and is a part of the NSW Government’s Local Landcare Coordinators Initiative, supported through the partnership of Local Land Services and Landcare NSW. Crop and pasture productivity is increased by remnant native vegetation and established shelter belts. Native trees and shrubs provide habitat for birds, lizards and bats, the natural enemies of pasture pests. Pastures and crops with some tree cover experience less soil moisture loss than those exposed to the full force of the wind. Paddock Trees Project: Providing funding to landholders to enhance and protect farm vegetation. Individual landholders able to apply for up to $2,750 in funding. 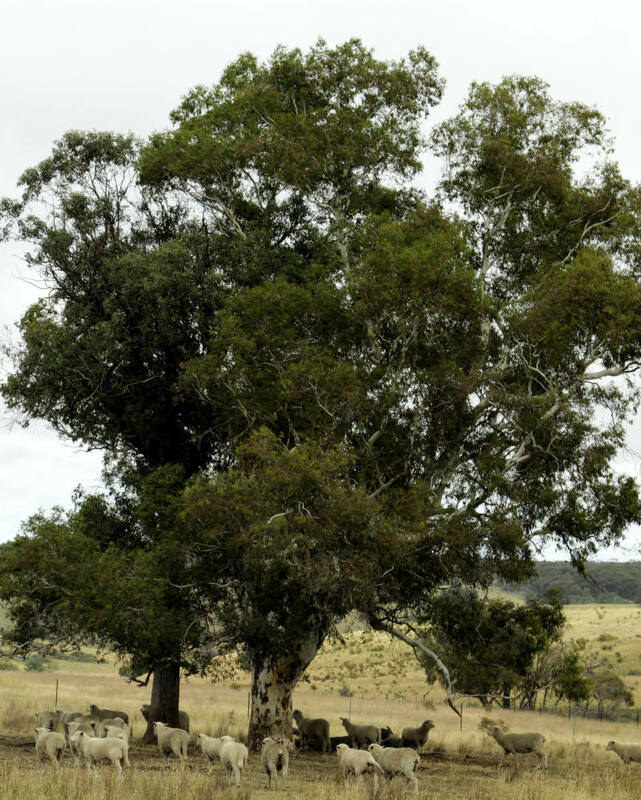 Many existing mature trees on agricultural land in temperate Australia are in decline. This is not isolated to paddock trees, mature trees in larger stands of vegetation are also disappearing, but often the effects are more pronounced in isolated trees. There are a number of things landholders can do to help protect paddock trees and help their regeneration. Fencing around selected trees will help to protect them from stock and limit detrimental agricultural practices such as applying fertilizer in the root zone and reducing herbicide spray drift. Planting additional shade trees for stock can also take the pressure off the old giants. 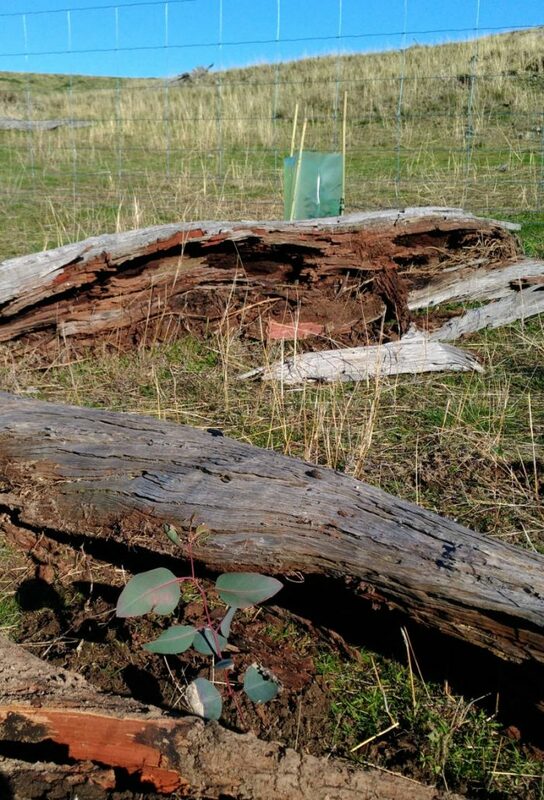 Watershed Landcare is currently running a Paddock Trees project which aims to enhance areas of highly cleared ecosystems in the Central Tablelands Local Land Services region by increasing the extent of paddock trees and clusters. We are seeking expressions of interest for funding from landholders in our region to conduct on-ground works to improve linkages between remnant native vegetation on the land they mange. Funding is available for materials or labour for protection of existing remnant vegetation and/or new plantings. There’s been some patchy rain over the district with some areas receiving greater falls than others, but overall the season hasn’t been great. The dry conditions are presenting a challenge to producers with livestock nutrition and management. The Central Tablelands LLS will be running an interactive information session for producers of the Central Tablelands in Rylstone next Tuesday, 13 February focusing on the current seasonal conditions and livestock management in dry times. “It’s been a hot and pretty dry summer around the Peel and Rylstone districts and we’re getting a lot of inquiries from landholders about livestock management and feeding,” said Senior Land Services Officer (Livestock), Brett Littler. “Local Land Services is holding these meetings so we can get together with farmers and share information on the best options for working with these dry conditions.” he continued. The Seasonal conditions: Feeding & weaning workshop will cover early weaning, creep feeding, supplementary feeding and animal health problems in dry times, as well as pasture management and fodder options. A lot of landholders have been seeking advice about managing weaners so Brett Littler’s presentation will target this specifically. Central Tablelands Local Land Services Team Leader for Animal Biosecurity and Welfare Bruce Watt and Senior Land Services Officer (Pastures) Clare Edwards will also be on hand at the interactive session, and farmers are encouraged to come with questions. “It really is just a chance for us to catch up with farmers and help them with their decisions, to look at health issues and let them know what we have found that works.” said Mr Littler. The evening will conclude with a question and answer session and attendees will have an opportunity for one on one discussions with the LLS staff over supper and drinks. The Seasonal conditions: Feeding & weaning workshop will be held from 4-6pm on Tuesday 13 February at the Rylstone Club, finishing with drinks and supper. Attendance is free but please RSVP for catering purposes. For further information or to RSVP please contact Brett Littler on 0427 007 398 or brett.littler@lls.nsw.gov.au.